Hold one chopstick between your thumb and middle finger. Position the chopstick so that it lies at the base of your thumb (on the joint) and at the lower joint of the middle finger. This chopstick shouldn't touch the forefinger. Place the other chopstick between your thumb and forefinger. The side of the chopstick should rest against the tip of your thumb; the top of the chopstick should rest against the pad of your forefinger. Be sure the tips of the chopsticks are parallel. Keep the first chopstick stationary as you practice moving the second chopstick toward the stationary one. When I was younger, I thought Wellsburg's "Applefest" was the center of the universe. Everyone in the area did. You could get foods you've never tried before, trinkets of all sorts, and face paintings. I loved it. But as I've grown older, I realized these are all around the site. Here are a few upcoming ones. Any more to add? List them below! Quirky. Whimsical. Unique. Those are just three words that help set the tone for The Poky Dot. It has a local reputation for being fun, tasty, and serving up larger-than-life portions. It's on WV's list of 101 most unique places to dine. Located in Fairmont, it's a little commute from Morgantown. But once we arrived, seeing spots (literally), I knew this would be a fun experience. There's a good bit of parking, as they have a few different areas. Many spots were taken up. I saw their iconic, red telephone booth next to the large sign. The building has bright turquoise, red and yellow polka dots scattered around. This diner has been around since the '50s, and that theme carries into the interior of the building. Bright turquoise blue booths with yellow piping line the dining room. Those colors continue to the the tables, as well as the counter seating. If you're lucky, maybe you can snag a seat by Marvin and Martha. The whimsy takes form in their heavy-handed decorating, with items you'd imagine being in your grandma's home decor. Random pink and yellow fabric butterflies, dolls, etc. dotted the walls. It was their spring embellishments, and apparently the restaurant's decorations change constantly. A jukebox sits in the corner. Oh, and the bathroom wallpaper was lined with paintings of women's undergarments and "girly" things. The ceiling was made of fabric. They do, however, have another room toward the back that caters to a more sophisticated, private party. I didn't see it, but the "Laurel Room" could not be as fun as the main dining area. The atmosphere and ambiance, I think, is what initially draws people here. It's eclectic, cluttered, tacky, bright, and different. We made our way to a booth and opened up the menus. I ordered a water, and when our server brought out the cups, I was pleased. Even the cups are huge! They do have a "He-Man Breakfast," which was featured in Food Network Magazine as the best breakfast in the state. The dish, served up on a fresh garbage can lid, includes four eggs, four pancakes, bacon, sausage, biscuits and gravy, ham, fried potatoes, and toast. If you can eat it all in under 60 minutes, you get a free shirt. Their "Original Poky Burger" seemed to be their specialty: "A yummy jaw-stretching feast, Fairmont's first choice! We're serious about serving the best burger in town ... We start with a full half pound of fresh ground sirloin, grilled just right and served on a fresh roll trimmed with lettuce, onion, tomato and pickles. Go for bacon or cheese or both!" I got the regular, and substituted fries for onion rings. But their menu is incredible, and they definitely put some love into it. They serve breakfast, appetizers, burgers, croissants, wraps, sides, big bites (homestyle - like pork barbecue, meatball hoagie, reuben), soup, salad, supper suppers (meatloaf, country fried steak, chicken parmesan), kids meals, and their famous desserts. Every item on their menu has some sort of description. For example, under the kid's breakfast - french toast, it says "Kid's French toast lightly dusted with powdered sugar. No crust. Kids hate crust. Served with a slice of bacon." They get creative with the descriptions, and I can imagine they've taken a lot of time to expand, refine, and edit this menu over time. Every item has something special. My food came out, and it was like everything was blow up to double the size - like giant portions. I took a huge bite of my burger. All the flavors were so distinct and clean. Hearty burger with a slice of cheese and fresh lettuce, tomato and onion. I put some ketchup to top off this little beefy slice of heaven. The onion rings were fried to perfection and added the perfect complement to my burger. That was a huge burger, but it was so good, I polished it off. And then we couldn't skip dessert. See, the thing about this place, is that they go big or go home. So, they have desserts like cheesecakes, s'mores you can make right at your table, and a "humongous" banana split that contains so much ice cream, you need more than three people to eat it. 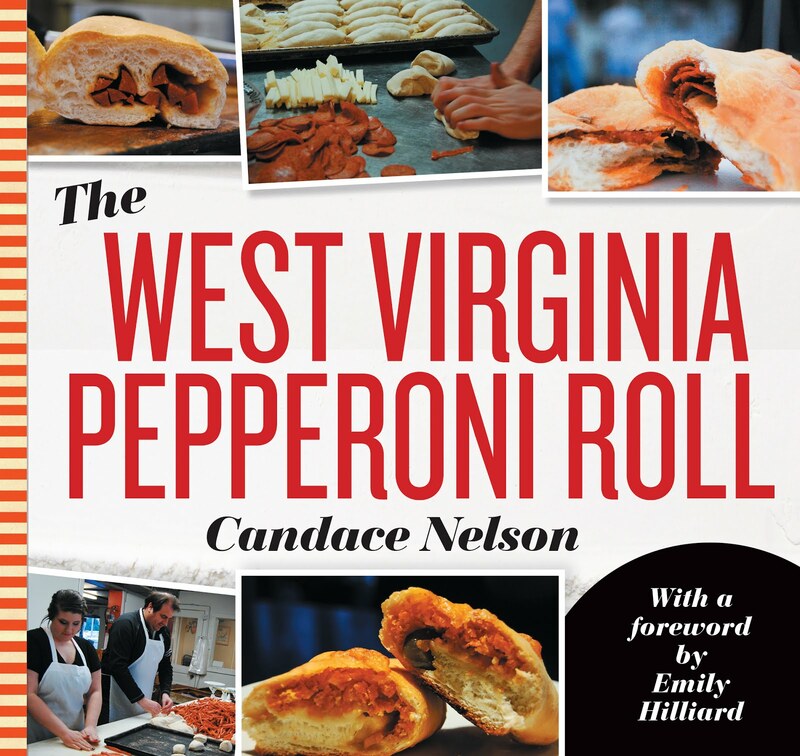 I'ts been featured on WBOY's TV's Restaurant Road Show and showcased in the Dominion Post. They have old-fashioned milkshake machines and a cabinet bursting with delectable sweets. They have more than 80 kinds of cheesecake, but only a dozen or so are available at a time. But they include things like M&M cheesecake, Butterfinger, and Cosmic Browner. The last two I tried, as my friends ordered them, and they were delicious. I, however, opted for their peanut butter pie: Walnut crust smothered with a layer of chocolate gouache, mounds of creamy peanut filling topped with a sprinkle of crushed peanuts and a drizzle of chocolate sauce. Boy was it rich and decadent and indulgent ... it was very similar to a Reese's pie, if you've ever made one of those. We ended up spending around $20 for our meals, which by the way came out on one old-school ticket. The food was excellent, the atmosphere was fun, the service was excellent. I recommend this for a fun experience. Boasting the largest wings known to modern science isn’t the most comforting thought. Does Fat Daddy’s sell genetically modified animal products? “Our wings come from the biggest chickens in the world, fed entirely on bacon & beer” is cute. "These huge chickens produce the largest wings known to modern science" is worrisome. “Modern science” and “wings” in the same sentence concerns me. Especially when the wings aren’t even that big, anyway. If you’ve been around here as long as I have, you know the location. It was Envy before the drug bust. Then it was Tabu. Now, that sketchy location, with the awkward cement incline to reach the door is Fat Daddy’s. Walking in, memories of my freshman year rushed forth. As I walked the awkward ramp, a miniature light show was going on. I was hoping it was more of a restaurant, with a bar side. But no, it’s more of a bar with a restaurant side. I never realized how huge this location was – there were slushie machines, arcade games, air hockey, skee-ball, basketball games, TVs everywhere, etc. There is a ton of seating, so we found a table that a group of six of us could fit at most easily. As we were sitting down, we were carded. And not even in the nicest way. Yep, definitely more of a bar. Since I was carded, I might as well order a drink. As the waitress handed us our menus, she quickly ran down a list of things they were out of so that we “didn’t try to order something” they didn’t have. But since the waitress ran over a list of a dozen things before we even opened our menu, it was pointless. We had forgotten what she said, and it’s not as though there were a ton of options to begin with. So, the service could use a little work. And it could stand to be scrubbed down a little if it’s wanting to sell food. But since their claim to fame is wings, that’s what I did. I got an order of boneless honey bbq wings. When they came out, some were missing sauce. It was almost like the sauce was just poured overtop without actually tossing the wings in it. But with that said, the sauce wasn’t bad. It was quite tasty, and even if some wings were more chicken tender than wing-tasting – even though all boneless wings are essentially chicken tenders – it wasn’t bad overall. The food isn’t necessarily what’s lacking here. The service, being treated like I’m a hooligan before I even sit down, and calling their wings biggest known to “modern science” isn’t the best. But it is still fairly new. I’m willing to check it out again. Drinks are a part of food culture, especially in Morgantown. Some of these serve food, but I wanted to have a general list for reference. These are all from MountainLair.com, which provides specials, hours, directions, and other information. Morgantown Brewing Company will be hosting a Summer Kick Off cookout on the deck this coming June 2nd! The feature drink for an evening on our deck will be a West Virginia Blackberry Lemonade, with or without spirits, as well as our 11 amazing handcrafted brews on tap! We hope to see you June 2nd to kick off a great Morgantown summer on the Best Deck In Town! A friend's mother made this buffalo chicken dip recipe for us about a year ago. I got the recipe off of her not too long ago and added my own tweaks. This recipe is perfect for a game, a party or any snack. Everybody seems to enjoy this tangy snack. If you like buffalo chicken wings, this is very similar. Serve with tortilla chips, celery sticks or crackers. This is a butter bowl filled with the dip after it has been refrigerated. I didn't try sushi until I was in college. I didn't even really know about it until then. I thought - raw fish, ew. And I feel like that's what most of my sushi-virgin friends think. But not all sushi is raw! In fact, "sushi" refers to the vinegared, short-grain rice that accompanies the fish. And I would never give a beginner raw slabs. There are easier, beginner rolls - with cooked fish, or vegetables. But I wanted to get some sushi basics down so in case you're not familiar, you can give it a go. Sushi can be traced back to 4th century BC in Southeast Asia. As a preserved food, the salted fish, fermented with rice, was an important source of protein. It spread throughout China, and in the 8th century, it came to Japan. Sushi became more of a cuisine rather than a way to preserve food. Now sushi can be found all around the world. In America, we tend to have more westernized versions. Temaki - single, large shaped like an ice cream cone. It is like a Japanese taco, with the cylindrical seaweed filled with rice and fillings. Wasabi - Wasabi found in most stores or restaurants contains little or no real wasabi. It's usually horseradish and powdered mustard with green food coloring added. It is very strong. Ginger - Pickled ginger, it's used to clean the palate between bites of sushi. It is pink, also called "gari." The most popular roll is the California roll (cucumber, crab stick and avocado). It's sometimes served "inside out," with the rice on the outside, instead of the seaweed. Sometimes they're coated in sesame seeds, tobiko (flying fish row) or masago (smelt roe). Other popular standards include the rainbow maki (California roll draped with tuna, salmon and yellowtail) and the caterpillar maki (avocado, crab stick, unagi and cucumber). B.C. roll contains grilled or barbecued salmon skin, cucumber, sweet sauce, sometimes with roe. Also sometimes referred to as salmon skin rolls outside of British Columbia, Canada. Rainbow roll a rainbow roll is a California roll with typically 6-7 types of sashimi (yellowtail, tuna, salmon, snapper, white fish, eel, etc.) and avocado wrapped around it. Seattle roll consists of cucumber, avocado, and raw or smoked salmon. Spider roll includes fried soft shell crab and other fillings such as cucumber, avocado, daikon sprouts or lettuce, roe, and sometimes spicy mayonnaise. Because of some unfortunate circumstances, I had to make an unexpected trip home to Wellsburg. That trip turned into another unexpected trip to Cadiz, Ohio, to a cemetery. After burying a loved one, my family headed to leave Cadiz and return to some semblance of normality. We were trying to unwind, and get out of there when we saw Ice Cream Island. If I could give better directions to this place, I would. I just know we passed it on our way leaving. We were all down in the dumps, and hey, when is ice cream better? It was kind of warm out, and this small little stand seemed to be right up our alley. We stopped off into the gravel parking lot and walked up to the window. They had sundaes, cones and some fried food - like pickles! My parents both got chocolate shakes, and I opted for a Moosetracks cone. It did take a little while, but I think that's because people in front of us ordered food. I didn't notice them when I first came in, as they were sitting off to the side on some picnic tables. We didn't stick around for long and instead left for home. I focused on that cone instead of the day's events. It was sweet, the peanut butter cups were like little hidden treasures, and it was packed to the very bottom of the cone - a difficult feat for non soft-serve ice cream. I know they didn't make the Moosetracks, but they did pack that cone the best way possible. Plus it was overflowing from the top, too. For only $6, they not only gave me an excellent cone, but they helped bring a little cheer to my day. I've heard of Moxxee. Apparently it's a hip little coffee place in Charleston that is fairly new (and highly anticipated up until that point). I'm nowhere near an expert on coffee. If you want that, you check out this blog. However, I follow a few Charleston friends on Twitter who seem to enjoy this place, so we decided to make a pitstop and get some mid-afternoon work done. The outside resembled a bar to me, with some shiny silver astrological-looking sign out front. It's actually two goats (I'm a Capricorn), and is supposed to represent the origin of coffee. I couldn't find the name Moxxee anywhere on the building; I didn't even know that's where we were until my friend pointed it out. I guess Moxxee is Native American for "black water." There is some parking and some outside dining, which is cool. Apparently a few of the windows on the side open up to enhance that indoor/outdoor dining feeling. When we walked in, though, every table, except one, was taken up. And that one had just opened up as someone left. I noticed on the outside of the door that it said max 15 people inside. I do like its focus on the culture: they make individual espressos and cappuccinos from coffee beans from around the world. The countries are listed on the beans. The process takes longer, as each cup is individual, and the types of coffees are always changing. While some tasty-looking pastries dotted the counter, I only wanted something small. I didn't really need the extra caffeine boost, so I opted for their "100 calorie Milk & Honey Burst" under specialty and cold drinks. I made sure it said nothing about espresso or java or anything. I wanted something easy. $3 later, I tasted it, and it was strong as could be. I tasted the top foam and threw the rest away. Maybe that's a waste. But it wasn't what I was expecting, it was overpowering, and I felt an instant headache coming on after my first sip. Maybe it's my fault for not clarifying. Maybe it's their fault for not mentioning any trace of java under that description. Whatever the case may be, I'm not sure I want to spend that much for something I didn't entirely enjoy in a cramped area with lots of young kids sitting there, as some sort of status symbol. Or maybe I'm not the coffee culturist. Either way, if you're young, like the appearance, don't mind being a little squished, but could maybe get a great cup of joe, if that's what you're into, this is your place.